From Legal Futures Associate Moore Legal Technology. A recent article from Legal Futures highlights how small and mid-sized law firms are experiencing falling income and lower levels of profitability. While there are undoubtedly challenges to face, and the list above is very much scratching the surface, what we absolutely do not see is a pervading atmosphere of doom and gloom. Perhaps we are sheltered to an extent, as the firms we are more likely to speak to are the ones who have recognised a need to innovate and transform challenges into opportunities for growth. Whether you are trying to offset against declining revenue streams by introducing new services/areas of practice, target a new audience, or bring in more of what has traditionally served you well in the face of increased competition, here are some of the things we recommend based on our experiences of working in the legal sector to help you achieve the above. 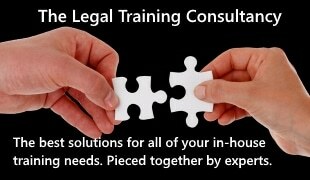 Develop your niche and work towards becoming the ‘go-to’ solicitor for your area of practice and location(s). Knowing exactly who you want to be and what you are looking to achieve makes marketing easier. People trust lawyers to do a good job. What will set you apart from your competitors is what you offer over and above standard legal services. That’s your brand, and it’s more important than ever. Your website is very often a prospective instructing agent’s first impression of your firm. Is your site aligned with your brand and value proposition? Does it offer a level of sophistication in design and user experience that is comparable to the service you provide and the expectations of your audience? You could be the smartest lawyer, working for a great law firm, with the best-designed website in the world. However, if people can’t find you online due to a lack of technical search engine optimisation, then you are missing out on a real opportunity, an opportunity you can rest assured your competition will be readying themselves to take advantage of. We often hear, particularly from law firm clients in the B2B space, that their clients don’t find them on Google. While we agree that your website should absolutely help establish authority and build trust with existing clients and referrals, it should also be able to put you in front of those who don’t know you but have identified that they need help with an issue that you could help them with. Utilised within the context of an overarching growth strategy, PPC is a great way to gain additional visibility and quick results by driving more conversion focused traffic to your website. As well as putting things in place to ensure prospects to come to you (and if you take care of bullets 1-5, they will do so) you can also create your own targeted, lead nurturing demand generation campaigns to help you develop a robust pipeline of prospects who are interested in your services. No more shots in the dark or trawling for clients. It’s amazing how few firms take advantage of their existing client contact database; people who already know you and trust you. Sending out an email newsletter to current clients who may have a limited understanding of the scope of your services will help to keep you front of mind for such a time as when they require the services of a solicitor again. Maintaining contact between instructions also helps to create a stronger relationship by building a sense of trust and familiarity with your brand or business. Do you know how many leads your website generates for you each month? Do you know how many of those leads turn into new instructions? Are the leads of a good quality? What is your internal conversion rate? What is your biggest barrier to conversion? To make sensible business decisions, to determine the long-term value of your marketing outlay, and to generate more and better-quality leads, to need to continually analyse, review and improve. Answering the telephone can often be viewed as an ‘admin’ task. And not just any admin task, one that is frequently delegated to employees who may have the least to gain from converting an enquiry – those who are further down the salary bracket or those that might be least engaged with the long-term health or growth of the business. Call handling should be viewed squarely as a business development task. After all, what’s the point of investing your hard-earned cash in generating new enquiries if the leads are being lost at the first point of contact?